Welcome to Part I in my Narnia Trilogy! As I said in a previous article, for me NARNIA was the first. Before LORD OF THE RINGS, Stephen King, HARRY POTTER, or any other major franchise, this was the first fantasy series I ever discovered. It started when my seven or eight year-old-self came home from school one day and my mom said “I recorded some cartoon for you. I found it on cable and I think you’ll really like it. 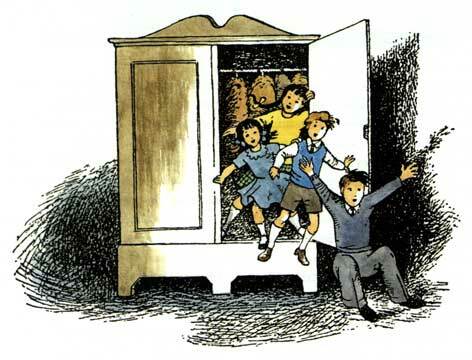 It has four children and magic in it.” This was of course the 1979 animated version of THE LION, THE WITCH, AND THE WARDROBE. I watched it many times and even then, felt there was something special about this story. Unlike ALICE IN WONDERLAND or THE WIZARD OF OZ, this story had a sadness to it, and the fantasy world was more than just a dream. There was just an emotional depth here that I responded to. In fourth grade our class read the book, and then I just kept on reading the series. It blew my mind to discover the concept of a book series, of a story lasting seven volumes. Maybe it was also my first time really connecting with reading material at all. Reading a story in written form is a very personal, intimate experience, unlike the communal experience of watching a film, and so I was allowing this series to touch me deeply. I think all of us have a passion for the first books that get us to read, whatever they are. I had also always been into Greek and Nordic mythology, especially creation myths, and loved the way these elements were used in the series. Here was a series tackling such major fantasy concepts as the creation and destruction of an entire world. 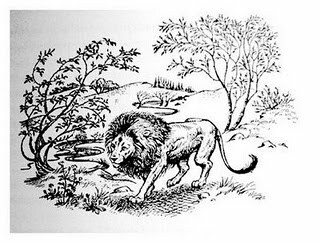 THE LION, THE WITCH, AND THE WARDROBE – A classic story that holds its own along ALICE IN WONDERLAND, WIZARD OF OZ, and other works of children’s fantasy literature. Edmund is a character with depth and probably experiences the biggest arc of anyone in the series. 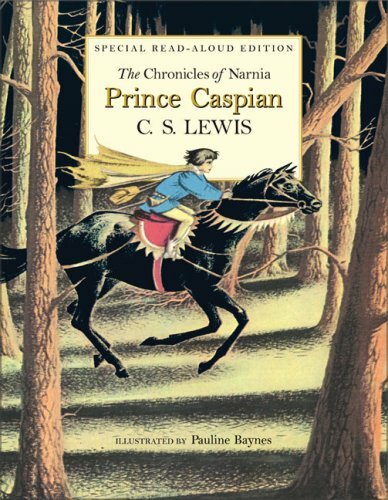 PRINCE CASPIAN – Has always been my least favorite, mostly because it focuses more on battles and fighting than magic. Miraz is also a boring villain. Just not very original or compelling. THE VOYAGE OF THE DAWN TREADER – The most lighthearted of the series, following our heroes on a series of episodes on the sea. A whimsical fairy tale. 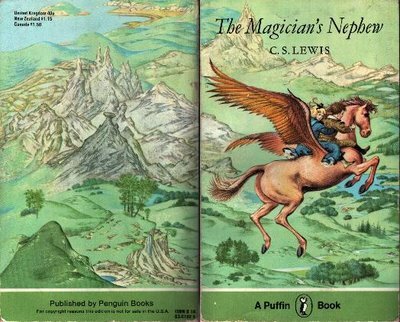 THE HORSE AND HIS BOY – Unfortunately suffers from the same problem as PRINCE CASPIAN, and lacks much magic or any world-traveling, though at least this one is a little more interesting. I always liked Shasta and Aravis. THE MAGICIAN’S NEPHEW – Love it! The creative way Lewis reinterprets the Adam and Eve parable with children is, in my opinion, a superior story to the actual Adam and Eve parable of the Bible. 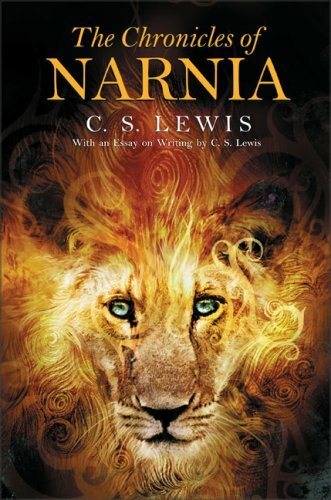 Has some very beautiful and touching passages involving the creation of Narnia. THE LAST BATTLE – The darkest and heaviest entry. Sometimes I would rank this as my favorite, while other times I would say it was tied with THE MAGICIAN’S NEPHEW. 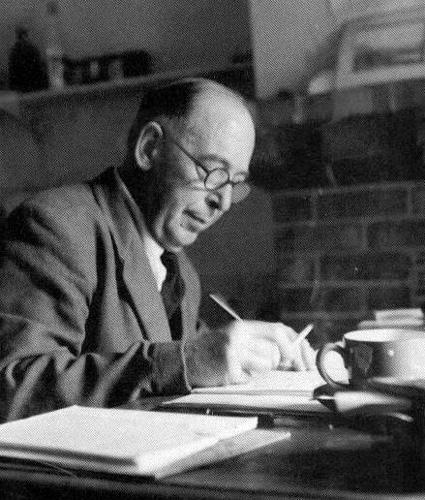 Later I discovered that Lewis actually wrote both books at the same time, so I actually think of the two as a single work. I took this passage literally and assumed there really was such a magic book that continued the Narnian adventures into eternity and never ended, and actually asked my parents to buy it for me for Christmas, much to their amusement. I just didn’t want the series to end. Nor was I the only one to love this series. 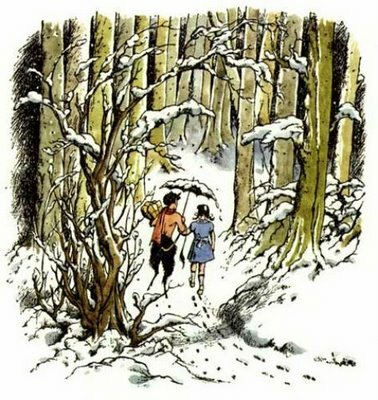 THE LION, THE WITCH, AND THE WARDROBE is one of the most loved books in the world and has been adapted many times. Aside from the film and TV adaptations, which we’ll discuss later, it’s been dramatized on the stage in 1984 and again in 1998 by The Royal Shakespeare Company. In 2003, there was an Australian commercial stage production, using both life-size puppets and human actors. There’s also a musical version, but it’s pretty horrendous. And there was even a Spanish comic book that I owned as a kid. Why is the story so popular? I think CS Lewis, who ironically had never written for children before, managed to come up with a great narrative and charming cast of characters, providing an interesting mix of Beatrix Potter-style fairy tales with emotional weight and religious commentary. The way he occasionally wrote in the first person, establishing himself as an old Storyteller, added to the storybook quality. When I read that as a kid, this cryptic piece of writing intrigued me. I loved the idea of Aslan secretly living in our world, waiting to meet us. Now I realized “Oh, wait. He’s just supposed to be Jesus.” Must admit, I was a little disappointed to discover a plot point that I found filled with narrative possibilities was actually just an attempt to preach some Bible at the reader. And then, in the years immediately post-college, I myself experienced a major personal change. I stopped being religious, and so did the cultural zeitgeist. I’m not saying everyone’s an Atheist now, but I do feel religion is viewed a lot more negatively today in the post-September 11th/Evangelical/George W. Bush era than it was in the 1990’s I grew up in. And so, perhaps because of that, NARNIA has lost some of its magic. Looking at the books today, I do find them more juvenile and simplistic than they were when I was younger. Their flaws stick out a lot more, and perhaps the fact I no longer share its religious conviction makes me take more notice of the constant-preaching, especially in the later books. It’s odd, Narnia never really lost its charm to me. I’ve read, and considered, all the proclamations of literary snobs, and agree with them. And I’m an atheist. Yet there is still something about the Narnia books that continue to inspire me. I’m able to switch off the religious allegory, sexism, and bigotry inherent in the story and find something there that speaks to me. Much of that comes from nostalgia, I’ll admit, but I didn’t even read most of the books until I graduated high school. I knew the stories from the BBC adaptations and had read The Lion, The Witch and the Wardrobe, but The Magician’s Nephew, The Last Battle, and A Horse and His Boy were unknown to me until much later. I think what I enjoy so much, even to this day, is the sheer joy of storytelling. I separate the intentions of the author and enjoy the fun he’s having. 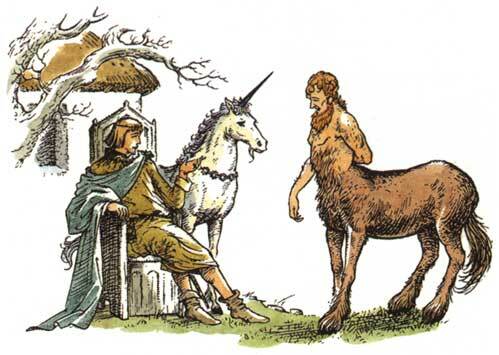 Narnia came from a very pure place in his imagination as a child when he and his brother Warnie were making up stories of the land of Boxen, and it comes through in the stories. He writes like he’s excited to show you what’s in his head, impure as many of those things may be.